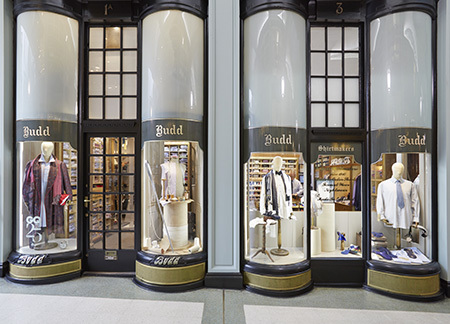 Budd has been located in the Piccadilly Arcade since the company’s inception in 1910. Like all of Mayfair’s traditional arcade boutiques, the shop is petite, but its size belies the wealth of goodies that can be found inside. Budd is a veritable Pandora’s box for Jermyn Street shoppers.